Let your little one wear this comfortable set that comes with a pair of shorts and a t-shirt. 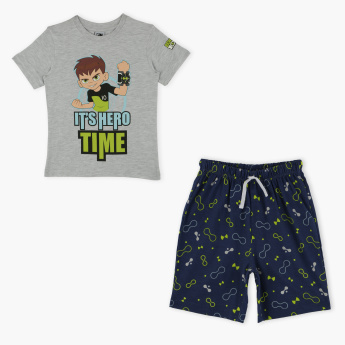 The Ben 10 print and soft material make it a splendid pick. The drawstring at the waist of the shorts lends a better fit.